Percona announces the release of Percona XtraDB Cluster Operator 0.2.0 early access. The Percona XtraDB Cluster Operator simplifies the deployment and management of Percona XtraDB Cluster in a Kubernetes or OpenShift environment. It extends the Kubernetes API with a new custom resource for deploying, configuring and managing the application through the whole life cycle. Note: PerconaLabs and Percona-QA are open source GitHub repositories for unofficial scripts and tools created by Percona staff. These handy utilities can help save your time and effort. Percona software builds located in the Percona-Lab and Percona-QA repositories are not officially released software, and also aren’t covered by Percona support or services agreements. You can install the Percona XtraDB Cluster Operator on Kubernetes or OpenShift. While the operator does not support all the Percona XtraDB Cluster features in this early access release, instructions on how to install and configure it are already available along with the operator source code, hosted in our Github repository. The Percona XtraDB Cluster Operator on Percona-Lab is an early access release. Percona doesn’t recommend it for production environments. Advanced nodes assignment implemented in this version allows to run containers with Percona XtraDB Cluster nodes on different hosts, availability zones, etc. to achieve higher availability and fault tolerance. Cluster backups are now supported, and can be performed on a schedule or on demand. Percona XtraDB Cluster Operator now supports private container registries like those in OpenShift so that Internet access is not required to deploy the operator. CLOUD-55: Now setting a password for the ProxySQL admin user is supported. CLOUD-82: Pods were stopped in random order while the cluster removal, which could cause problems when recreating the cluster with the same name. CLOUD-79: Setting long cluster name in the deploy/cr.yaml file made Percona XtraDB Cluster unable to start. CLOUD-54: The clustercheck tool used monitor user instead of its own clustercheck one for liveness and readiness probes. 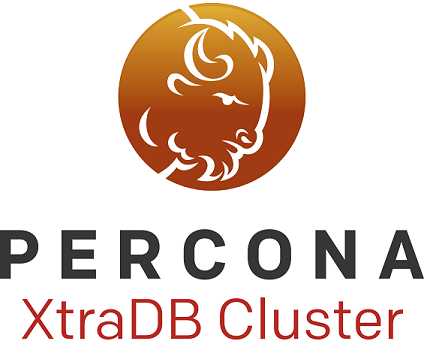 Percona XtraDB Cluster is an open source, cost-effective and robust clustering solution for businesses. It integrates Percona Server for MySQL with the Galera replication library to produce a highly-available and scalable MySQL® cluster complete with synchronous multi-master replication, zero data loss and automatic node provisioning using Percona XtraBackup. Help us improve our software quality by reporting any bugs you encounter using our bug tracking system.